Back when I was expecting my first child, if you had asked me how I thought my body would be affected following the birth I would probably have told you that I'd expect that my shape would be different, that I'd have some new stretch marks and that I'd most certainly have a c-section scar. And all of these things would certainly be true. But honestly, I would have expected that to be the full extent of the physical changes. And I would have been wrong. So wrong. It still amazes me how much my physical appearance has changed since having children - yes there are the usual things such as more lines on my face which have come through age, more dark shadows under my eyes from lack of sleep - but there are also changes that have taken me completely by surprise. For example, I had no idea how much my chest size would change after children - I have gone up by a huge 4 cup sizes! I had no idea that your nose could widen in pregnancy, but oh yes - it can! And mine has never returned to it's previous size. I also had no idea that my hair could suffer so much - I had experience some hair breakage during the pregnancy but it wasn't much. 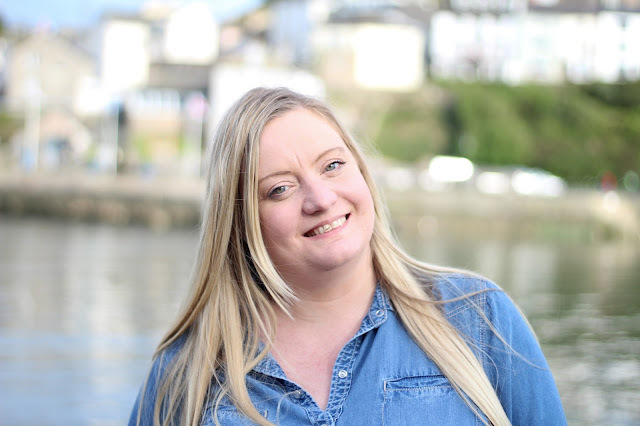 But after the birth I found that I was losing much more hair in the shower than before, that my hair was lank and lacklustre most of the time and that the hair around my face was snapping - leaving me with awkward tufts that were too short to even pull back into a clip. I had heard of hair treatments and supplements before but had never considered taking any, but I have recently decided to give Hairburst a try. Hairburst contains a mix of proven ingredients for hair growth including collagen, biotin & silica, folic & pantothenic acid and Vitamins A, B, C and D and has been scientifically formulated to encourage longer, stronger and healthier hair with less breakages and increased elasticity. Hairburst is suitable for men or women, and can be used from age 12 onwards as it is 100% natural and drug free. It is also a cruelty free product. And you don't need to worry about unwanted hair everywhere else as it is designed only to stimulate the growth of hair on your scalp - so you won't need to invest in extra razors! There are various products in the Hairburst range including the standard supplements which are taken daily, the chewable Hairburst Hearts and Hairburst shampoo and conditioner. 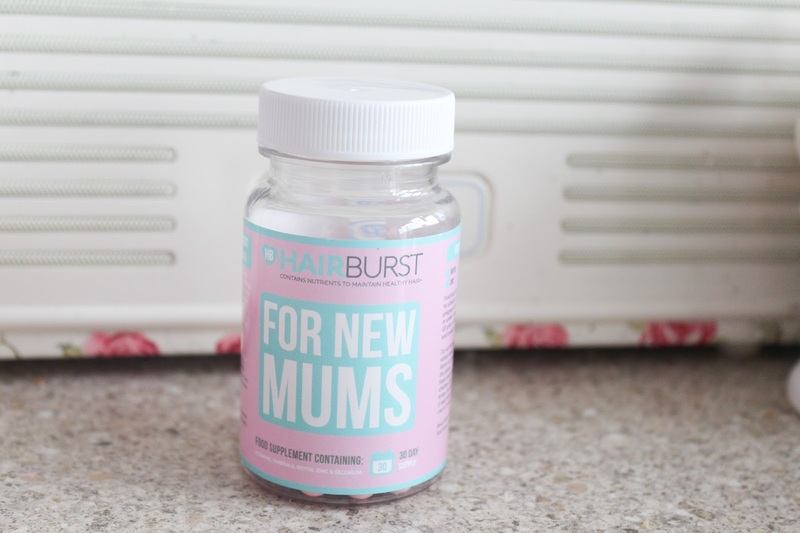 There is also the Hairburst For New Mums range which is ideal for people like who have suffered with damaged hair during and after pregnancy, as the supplement does all of the good of the standard Hairburst product but with reduced levels of Biotin which are safe for use during pregnancy - a 30 day supply is currently on sale for the reduced price of £17.99 so now is a great time to treat yourself! I only wish I had known about them when I was pregnant.